One of my favorite tv shows is Once Upon a Time. At first I was iffy on this show, but Tracy really got me into it. We never missed an episode (DVR is amazing). At first I loved trying to figure out what fairy tale character each of these Storybrook residents were supposed to be. I absolutely loved Jamie Chung as Mulan in this series. I think she does and excellent job in this role. After seeing her in Once Upon a Time, I began to notice her more online. I think she has a very chic sense of style. She always seems to be dressed wonderfully. Below you see one look that she sported this summer that I love. It is chic and semi-casual at the same time. This look is effortless and beautiful. I recreated the look keeping the same feel to the outfit but using other colors. What do you think? 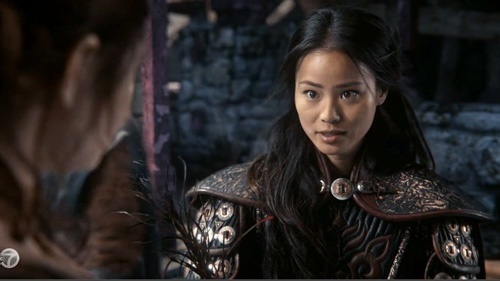 Do you love Jamie Chung as Mulan in Once Upon a Time like I do? 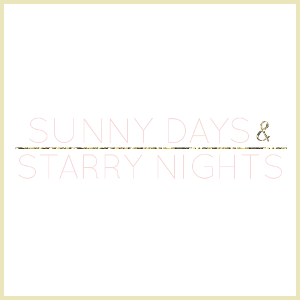 Wanna follow each other on FB? I love Once Upon a Time! And Jamie has great style. That white blouse you picked out is so cute! I need to watch that. Sounds so interesting. Love those pants and bag.